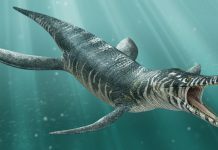 Leptocleidus is an extinct pliosaur which lived approximately 130 to 125 million years ago during the Early Cretaceous Period. It was discovered at the beginning of the 20th century on the Isle of Wright in England. In 1922, it was given its name – a name which means “slender clavicle” in Greek. 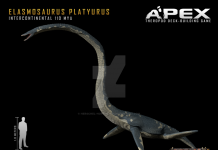 If you were to judge this pliosaur only from Leptocleidus pictures, then you probably would think that this animal wasn’t all that impressive and for the most part, you’d be right. After all, it was only about 10 feet long and only weighed around 500 pounds. Which made it about the same size of an average white-beaked dolphin. 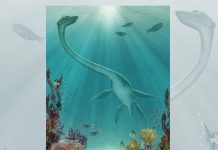 Much smaller than other pliosaurs like Liopleurodon or Kronosaurus. 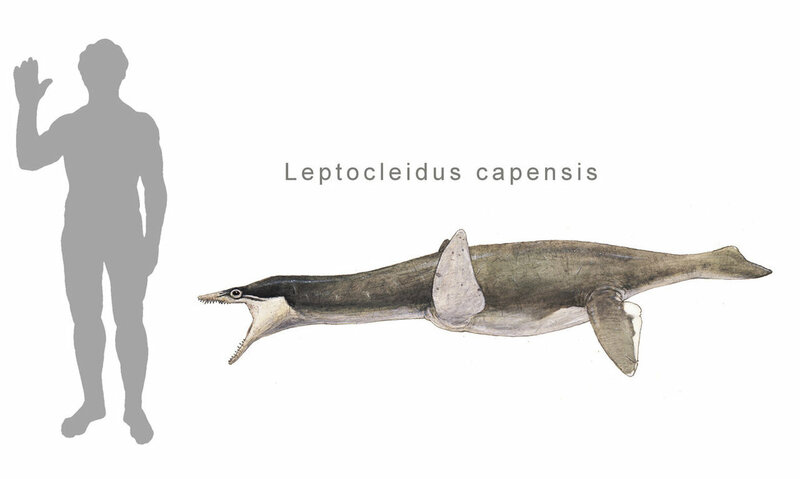 One of the most interesting facts about Leptocleidus is that it may not have lived in the oceans at all. 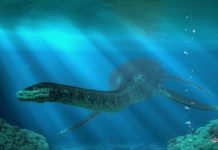 Paleontologists believe that this animal kept to the freshwater lakes and didn’t venture out into the ocean. They base this theory on the fact that it was found on the Isle of Wright. If that is indeed the case, then it is probably why it was able to survive as a species for 5 million years. 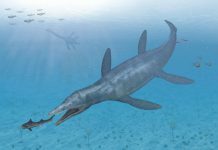 Most likely, if Leptocleidus had dared to venture into the oceans of the Early Cretaceous, then it would not only have had to compete with some of the large pliosaurs of the time but it may have also been a food source for them. However, that doesn’t mean that it didn’t have predators to deal with. Recent finds on the Isle of Wright suggest that freshwater sharks may have also lived in lakes and ponds. What did Leptocleidus eat? 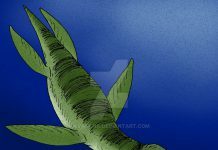 It probably lived off a variety of fish species that were prevalent in the area at the time. 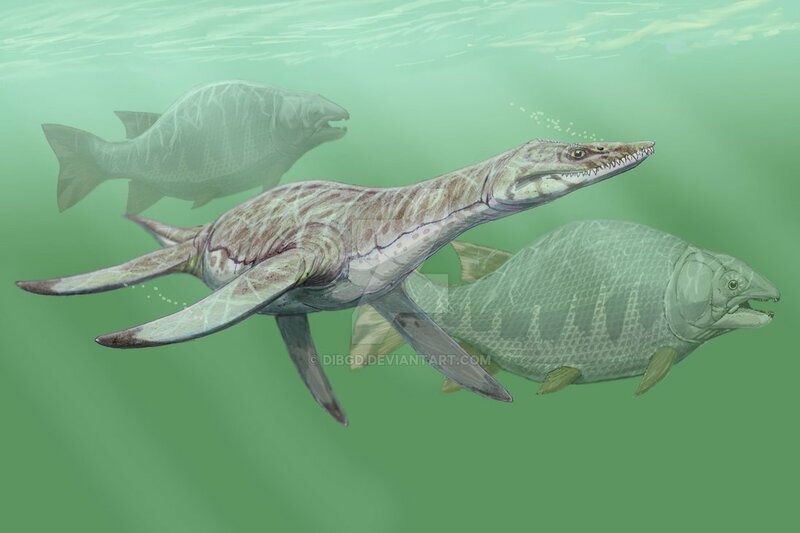 It could have lived off of chondrichthyan, a type of cartilaginous fish, and it could also have lived off of osteichthyan fish – prehistoric relatives of the lungfish.